Famed for being, much like the Terminator, unkillable in any conventional sense, the Toyota Land Cruiser has a built a reputation over the five generations since it was launched proper in 1967 of being robust and reliable over any terrain, and with the best off-road capability out of any vehicle available. 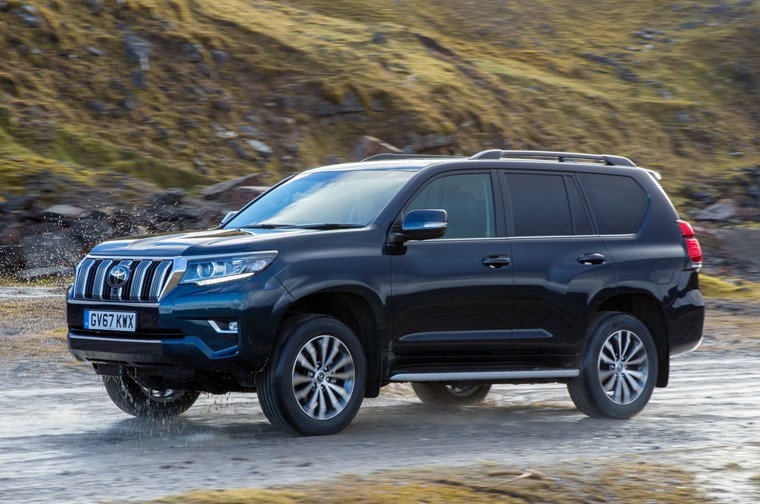 Whether it’s the heat and sand dunes of Africa, the cold and deep snow of the arctic or the lush prairies of South America, people drive the Toyota Land Cruiser not because they got a good lease deal on it but because it takes everything thrown at it and just keeps going. So it was with some disappointment that not only did I get to test the 2018 Land Cruiser during a blistering heat wave, but that I was pretty much confined to nothing but roads as every green lane and off-road route near me was closed off due to devastating moorland fire. Despite my protestations that the Land Cruiser would still probably emerge from the flames untouched, it was sadly a no-go. Built on a body-on-frame chassis that has been going since 2009, with this 2018 update the changes have been predominantly kept to the exterior, with a few redesigns including squarer front wings allowing you to judge its size with more ease, raised headlights and grille to decrease the chance of them being damaged or blocked and a reshaped front bumper to assess the best approach when going off the beaten path. Under the bonnet, the 2.8 four-cylinder diesel engine only gets a mild revision via the fitting of a new turbo to produce an understated 174bhp. 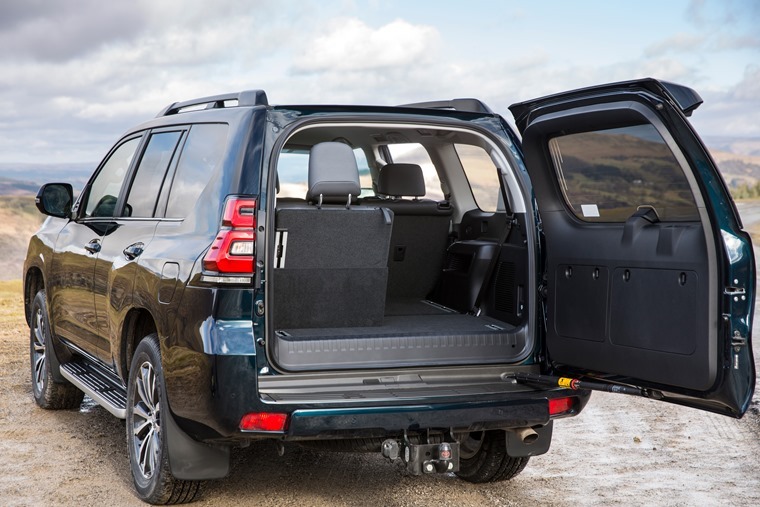 On the inside is where you’ll find the most changes, but this is where the Land Cruiser becomes a bit conflicted. 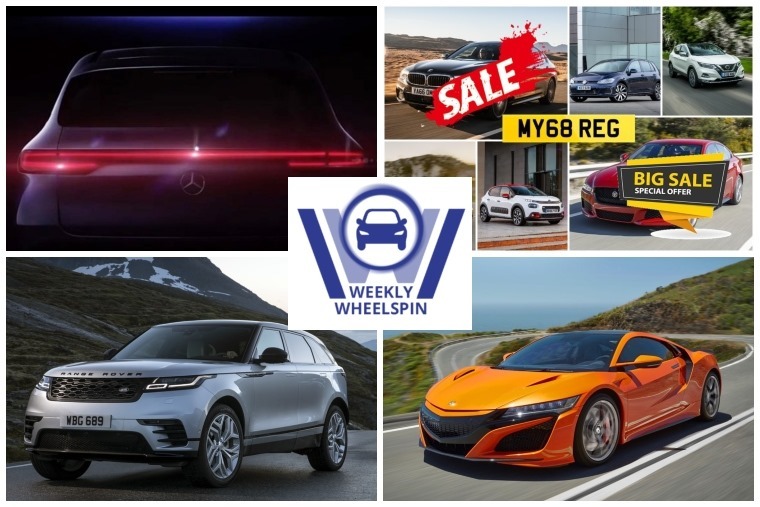 There’s been a real attempt to add an air of luxury refinement to the vehicle while keeping some of its hardiness which can be a bit jarring. As such throughout the cabin you’ll find a reshaped dashboard, while our Invincible spec model also gets a new instrument cluster that manages to look like it’s from five years ago and from which all off-road modes can be programmed. Driver and front passenger seats get heated and ventilated seats which are comfy and cosseted, and in the arm rest is a cool box which, well, keeps your drinks cool. In the rear, the second row of seats slide forward and the third row can be made to rise up electrically from the boot floor giving enough space for those up to teenage years to sit in. 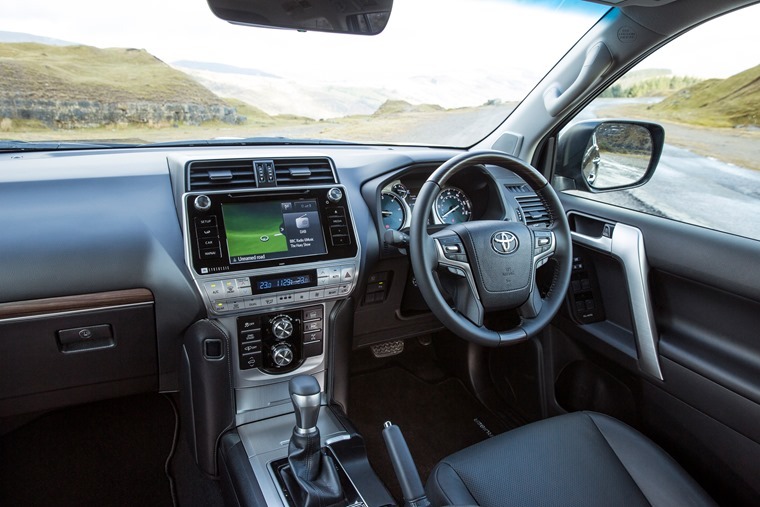 On the road then, the Land Cruiser is smooth and effortless to drive, straddling the same line as the interior between a luxurious drive but also a capable one. The handling and body control remains that of a true-SUV, meaning there’s body-roll to contend with as well as slow-gearing and hydraulic assisted steering but it is composed at all times. With the fires on Winter Hill only just beginning, it was assumed some green lane routes or off-road areas would still be open. Alas, with the fire getting progressively worse and fire engines and road closures blocking routes our only option was to go elsewhere. With double-wishbone front suspension and rigid four-link suspension at the rear, adaptive dampers, roll stabilisation and self-levelling air suspension for the rear wheels, the Land Cruiser was vastly overqualified for the farm lane into rough and rocky pathway we skirted around a reservoir on, and as a helicopter descended to fill up its tank to douse the flames on the hills, we realised just how serious the moor fire was going to get. 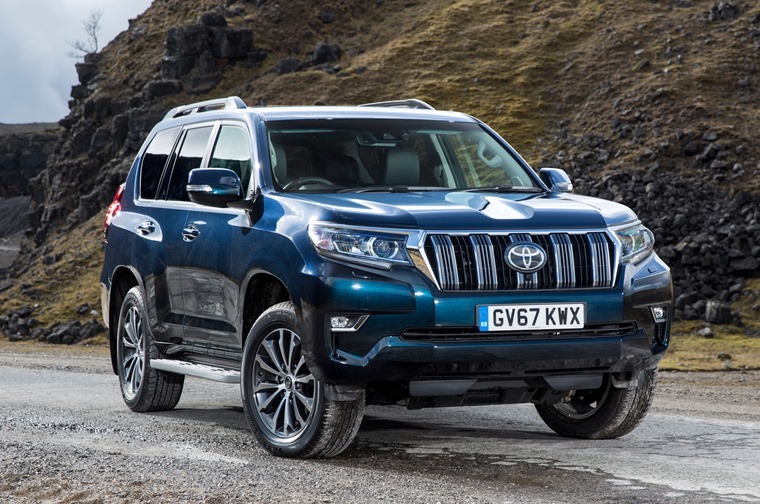 Ultimately, the Toyota Land Cruiser is a functional car and that should be your reason for leasing one. While it offers comfort and enough mod-cons to keep anyone happy, it’s not going to be your go-to choice unless you’re putting it to regular use for its full potential. If you are, it remains as dominant as it ever has been. Updates to the exterior are minor but made for practical purposes. These include a reprofiled bonnet for a better view of what you’re driving over, raised headlights and grille to decrease the chance of them being damaged and a reshaped front bumper to assess the best approach when off-road. A real attempt to add an air of luxury refinement to the vehicle while keeping some of its hardiness has been made. A reshaped dashboard with infotainment as well as a new instrument cluster from which all off-road modes can be programmed features. Second row of seats can be pulled forward while third row are electronically operated from the boot. 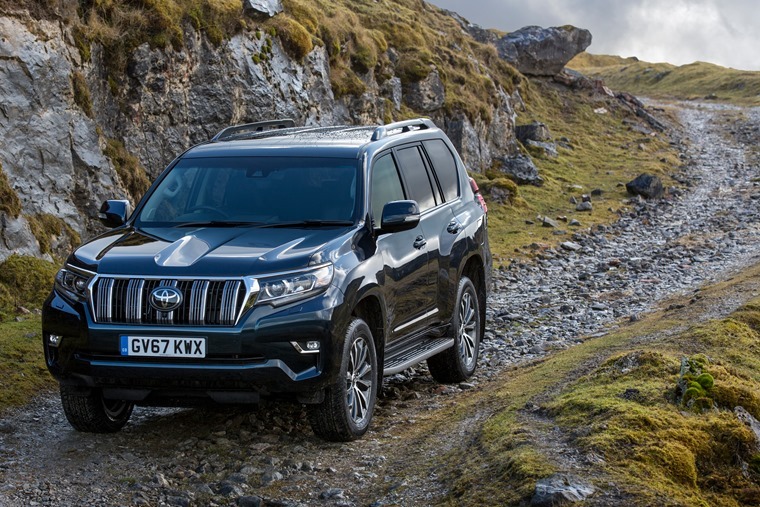 The Land Cruiser is smooth and effortless and straddles the line between a luxurious drive but also a capable one depending on where you’ve taken it. With seven-seats available, all adjustable and offering enough comfort for short-to-medium length journeys, there’s plenty of space on offer. The boot offers 621 litres with all seats up expanding to 1934 with second and third row down. The four-cylinder 2.8 litre diesel engine offers a combined 38 MPG with CO2 emissions of 194 g/km and is in VED Band J which is a standard rate of £280.